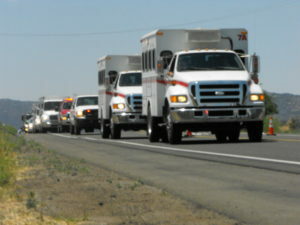 The two crew vehicles, or “buggies,” used by the Granite Mountain Interagency Hotshot Crew before 19 of its 20 members were killed fighting the Yarnell Hill fire in 2013, are being auctioned by the City of Prescott, Arizona. One of the entities that will be bidding on them is the Los Angeles County Fire Museum in Bellflower. 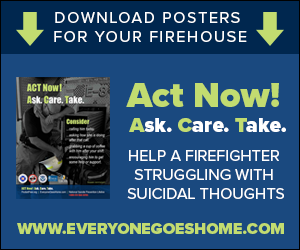 The museum’s vice-president is Joe Woyjeck, father of Kevin Woyjeck, one of the 19 hotshots who lost their lives fighting that wildland fire on June 30, 2013. Captain Joe Woyjeck retired in March 2017, wrapping up a distinguished career of 36 years of service to the Los Angeles County Fire Department. He retired from Fire Station 54 in South Gate. Woyjeck is well-known for his commitment to historical preservation; his handy-work can be seen in many restoration projects, including a 1941 Ford Fire Engine on display at Fire Station 30 in the city of Artesia. 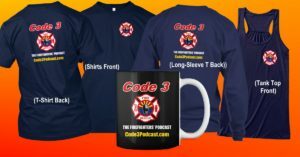 In response to the tragic LODD of the Kevin and his brothers in the Granite Mountain Hotshot crew, the Woyjeck family founded The Kevin Woyjeck Explorers for Life Association to assist young men and women in the Fire Explorer program with financial support and material donations. 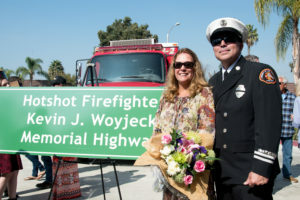 A four-mile stretch of the 405 freeway that runs through their hometown of Seal Beach has been designated as the “Kevin Woyjeck Memorial Highway”.